We are a leading Manufacturer of glass batch house, lrf batching system, pigments batching system, glass frits batching system, batching system for aod feeding system and ferro alloy batching system from Pune, India. We are offering Glass Batch House to our clients. Charging of Raw Material in to Storage Hoppers: Raw material storage Hoppers are designed for all the major raw materials like Sand, Dolomite, Soda, Feldspar, Cullet, Water tank and Minor chemicals like Sulphate, Carbon, Barium for various capacities as per your operational requirements Hoppers will have High and Low level sensors installed on it for Level Indications. Potential free outputs from High level will be connected to charging Bucket Elevator/Belt Conveyer motor of respective material to control the feeding of the materials with Alarm Indication on Batch house panel. Potential free output from Low level will be connected to Alarm Indication on Batch house panel. 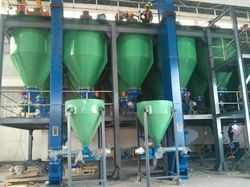 Batching, Mixing and Cullet Addition: Four Batching hoppers are provided and are installed under the storage hoppers having Load cells to get Weight Indication. The Batch controllers having facility to program for individual set points (with coarse and fine feeding), inputs, outputs and discharge sequence. The Screw-feeders, Vibro-feeder, and Solenoid valve is provided to waterline and vibrating motors are provided to all storage hoppers for charging the raw material into Batching hoppers. Batch hoppers will have pneumatic Valves to discharge the batched materials on the conveyer. 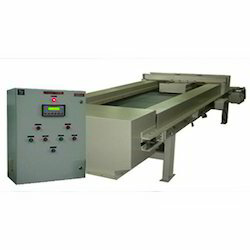 Load cells are connected to Batch controllers, which are mounted in Batch house Panel for Weight Indication and batching operations. As an ace name of LRF Batching System, we have marked our name very strongly in the market. Through feed and in feed cleaning at variable speeds distinguish this one from its competitors. Permanent internal lubrication, integrated oil tank, full wave control electronics and overheating protection are the highlights of this machine that marks it different from others in the same category. This product of ours comes with a superior performance and an unmatched quality. Fostered with vast industry experience and knowledge of this domain, we are engaged in presenting Pigments Batching System. This system helps in controlling feeding devices such as valves, single/twin screw feeders, Vibro feeders, and belt feeders. Further, the system is built and developed adhering to industry standards. Innovation is our forte and Glass Frits Batching System from our side is a strong example of the same. It has emerged as a winner in the market as it is extremely decent on the pocket and is made up of the finest of the raw materials. The drum rotation is very frequent and hassle-free. Caster wheels provide the mixer with the feature of portability. These offered mixers are developed from top-grade components and innovative technology in compliance with the defined industry standards. These are offered in various capacity to meet the client requirements. Our company has earned great laurels with Batching System for AOD Feeding System. Product is fed into the inlet where it enters the impeller wheel through the feed control pipe. Accurate adjustment of the feed control handle determines the thoroughness of the hulling operation. The centrifugal force of the rotating impeller wheel drives the product against the hulling ring. The speed of the rotating impeller is adjusted to create the exact force of impact against the hulling ring. Fine-tuning of the speed minimizes broken meats and maximizes hulling thoroughness. 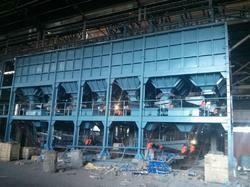 We offer a wide range of Ferro Alloy Batching System that is available in different modes and specifications. 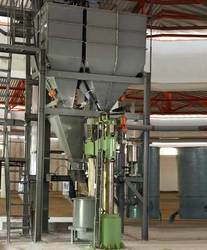 Weighing and Batching operation: Raw material from the ground hopper is discharged on a conveyor than reversible conveyor located on top of day bunkers. 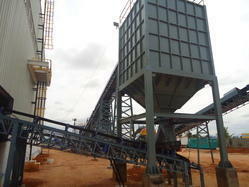 As per requirement, reversible conveyor will discharge the material on two shuttle conveyors to fill up day bunkers. 12 day bunkers are provided for 12 different raw materials. Vibrating feeders are provided below 12 number of day bunkers in coarse and fine mode. 3 weigh hoppers below 12 number of day bunkers. Each weigh hopper is installed on 3 or 4 Nos. of suitable capacity imported Load cells to get Weight Indication on batch controller, Batch controller will process the signal of 4-20mA and is provided to PLC for automation, Batch conveyor will carry discharge the batched materials on the furnace charging conveyer. Auto Mode: PLC programming is done as per the composition of batching operation to have a flexibility in selecting random component recipe. The PLC, SCADA is integrated with program Total plant batching operations can be monitored from the PC screen with required reports. Semi Auto Mode: The Batch controllers having facility to program for individual set points timers, discharge, manual component, etc, inputs, outputs. Batch house panel will have Mimic diagram of the complete Batch system to know the status of the field Instruments. Manual Mode: The required switches are provided on the panel for operations. Operator can feed No. of batches to be taken in the day/shift. This continuous Batching can be stopped by pressing “Stop” switch or by switching OFF the conveyer. This cycle runs for 365 days without any manual intervention. The Batching system can generate Batch report automatically after every Batch. Also, it gives production consumption report on demand. We are one of the noteworthy enterprises engaged in offering superior quality Vitamin or Minor and Micro Batching System. The offered system is developed in accordance with industry norms and quality parameters. In the offered system, all the components and material used have been approved and certified by authorities. In addition, this system can be built and developed according to the specification provided by the clients. Furthermore, our professionals opt for strict quality inspection made on the system to ensure high performance. With vast industry experience, we have been able to offer high quality batching systems for Construction Chemicals Batching System. These systems are manufactured using premium quality components procured from reliable vendors of the industry. Our high quality batching systems are used in the chemical industries owing to their reliable performance and durability. These are available for the clients at competitive prices. 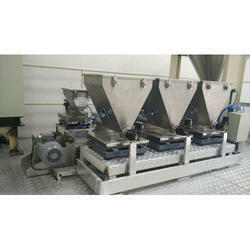 Owing to our technological advancement, we have been able to offer Flux Addition Batching System. These systems are made using latest tools and machines installed at our unit. 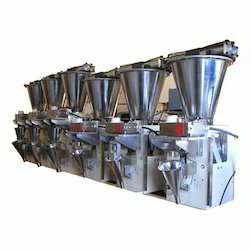 Our batching systems are designed as per the application requirements of our clients. Some of the features of these systems are durability, longer functional life, and easy maintenance. The use of these systems ensures reliable usage and superior performance at the clients' location. A flourishing enterprise in this domain, engaged in presenting a wide range of Food and Beverages Batching System. The offered system is developed in accordance with industry norms and quality parameters. In the offered system, all the components and material used have been approved and certified by agencies. In addition, this system can be built and developed according to the specification provided by the clients. Furthermore, our professionals opt for strict quality inspection made on the system to ensure high performance. Offered by us are quality-assured Welding Flux Batching System, which holds a huge demand in the market. These are formulated using premium quality material sourced from trusted vendors of the industry. Some of the features of these formulations are accurate composition, durability and reliable results. These products comply with the international quality standards. Our clients can avail these products at affordable prices as per their requirements. 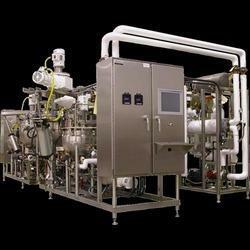 We are a prominent firm engaged in providing high-quality systems for Silicate Batching System. 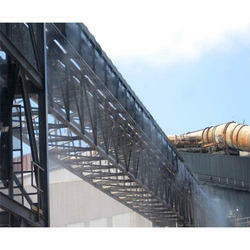 These batching systems are fabricated using latest technologies and tools under the vigilance of our engineers. Our batching systems are manufactured in compliance with international quality standards. These systems are made keeping in view the application requirements of our clients. Our clients can avail these systems at affordable prices as per their needs. 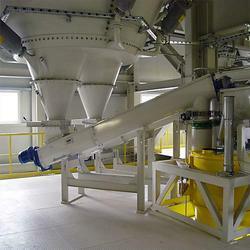 Our clients can avail from us a quality-assured range of Ceramic Batching Systems. These systems are made using high-quality components sourced from some of the trusted vendors of the market. Further, we make sure that these are made in compliance with industrial norms and standards. These systems are tested on the basis of some well-defined parameters so as to ensure reliable performance. Our clients can avail these products at competitive prices from the market. 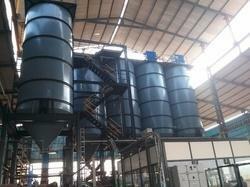 With the efforts of our teammates, we have been able to offer Sinter Plant Batching System. 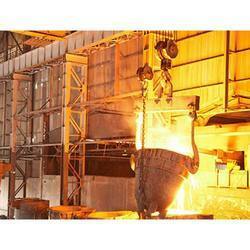 These systems are manufactured using latest technologies as per industrial norms and standards. Before the delivery, we test these systems to ensure hassle-free performance at the clients' end. Our plant batching systems are extensively used for the industrial applications owing to the reliable performance. With the excellent support of our brilliant professionals, we are engaged in presenting Raw Material Handling Batching Control System. Our professionals bring forth an excellent range of system that is manufactured using the premium quality material, approved components, and latest techniques. In addition, this system is built and developed adhering to industry standards. Furthermore, our professionals opt for strict quality inspection made on the system to ensure flawless performance. Apart from this, clients can get the system from us at industry leading rates. The melt shop is prepared to use cold DRI Feeding Control System. The continuous DRI feeding system has already been designed to handle cold DRI and uses number of silos, EM vibro feeders, and few conveyor belts. The capacity of the DRI bins on top of the EAF can be scaled using weighing system when DRI feeding. As a rule, it is common to have the amount needed for one heat or little more. The cold DRI is received from storage yards at any time as is needed by the EAF." 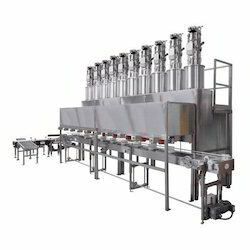 The handling system is designed with enough capacity to have the required amount of DRI and the same is stored before the EAF heat cycle starts. The DRI storing silos will be installed on load cells. The load cells are of type shear beam or compression. The load cell signal will be summed in JB and connected to batching controller with special extension cable to transmitter modules, transmitter modules will be connected to batching controller. Through which it receives weight of each DRI silo. Provision is there to calibrate for required full scale. These Transmitter modules are connected on local bus to the batching controller. 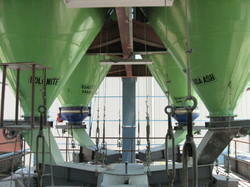 The controller is state of the art and designed to handle up to six weigh silos. The controller has 16 digital outputs, 16 digital input and 4 nos. of analog outputs. The Controller has 6” touch screen and inbuilt power full PLC. 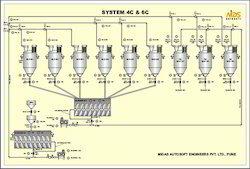 The controller is programmed for batching of DRI in discharge batching mode as per the set point entered by the user. The controller has provision to control the feeding rate. The user needs to enter set point for feeding rate. The feeding rate is assumed continuous. If needed this rate can be made constant by varying the amplitude of EM/Motorized vibro-feeders by calculating flow rate if user wishes. The same will be connected to existing EM vibro-feeders. The controller is incorporated with 2 serial ports from port-2 it can print a batch report on local serial printer. It also stores data of 1000 heat cycles for record purpose. When feeding cold DRI into an EAF, the rate at which it is fed depends on the available power, electrical and chemical. Typically, the amount fed is controlled by the specific feeding rate given by the ratio of the amount of DRI per unit time fed and the total power available inside the furnace as is shown in the equation. This ratio indicates the amount of DRI that can be fed into the EAF without causing DRI. 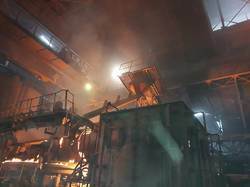 Accumulation or liquid bath overheating for a given furnace and a given metallic charge quality, DRI and scrap.If the ratio is greater that this number, it means that there will be accumulation in the furnace since there is not enough energy to melt the DRI being fed? On the other hand, if the ratio is less that the equilibrium ratio, it means that there will be more energy to heat the liquid bath since there is not enough DRI to melt. We are engaged in offering PVC Batching System. The material from raw material ground hopper will be conveyed through Bucket Elevator system and discharge the material in storage hoppers located on top of weighing hopper. The screw feeders will be having two modes of operations i.e. coarse and fine which will be operated through VFD. Two number of weighing hoppers are provided. These weigh hoppers will receive materials separately from separate 2 numbers of storage hoppers. Each weigh hopper is installed on 3 Nos. of suitable capacity imported alloy steel Load cells to get Weight Indication on the Batch controller, which is mounted in Batching system Panel for Weight Indication. The coarse & fine operation for discharge devices of storage hoppers will be controlled by batching controller for better accuracy. Owing to our expertise in the domain, we have been able to offer Cattle Batching System. We offer high-quality cattle and poultry feed, which is made using the quality-assured material as per international quality standards. Owing to their features such as healthy in nature and hygiene factors, these are widely demanded in the market. Before the delivery, these are stringently tested so as to offer a flawless range to the clients. 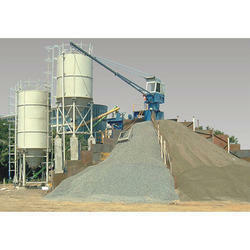 As an ace name of Steel Batching System, we have marked our name very strongly in the market at present. The drying and mixing unit are specially fabricated for minimum heat loss. It is built of a very heavy-duty frame, normally 400 mm joist. Drive passes smoothly through pinion and geared ring. We can design units with segmented driving sprocket depending on the customer's requirement. The discharge mechanism of the unit dumps the heated aggregate directly onto the load-out conveyor. Briquette Batching System is provided below storage hoppers (first Batch hopper for Chrome fines/Lime and second for Molasses). Batch hoppers are installed on 3 Nos.of imported Load cells below the storage hoppers. Batch house panel will have switches, lamp, timers, power supply, relays, VFD for conveyer/screw feeder, etc for Automatic/Manual operation and Mimic diagram of the complete Batching system to know the status (ON/OFF, Coarse/Fine, Overload, etc) of the field Instruments like Screw feeder, Conveyers, Gate/Ball Valves, Mixer and Mixer gate. In Manual Mode, switches are provided for Screw-feeder, conveyer and Ball Valve. Operator can take the batch with help displayed weight and switches. 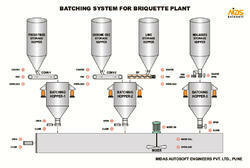 Looking for Batching Systems ?